At Amazing Alterations, we love what we do! We love being part of every one of our bride’s and bridesmaid’s big day! We love Prom too! 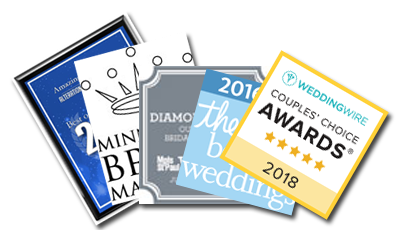 To have our brides nominate our business Amazing Alterations for a finalist in the big “Best Of 2013” for “Best Alterations” catagory, is just such an honor! It is a very special thing, because it is the brides and bridesmaids that fill in the catagory, it isn’t a “choose from” list. So, when we found out we were just thrilled! We strive very hard to love what we do here at Amazing Alterations. It starts with listening to you and your story of how you met “Mr. Right”. And how your day is going to be, so we know exactly how to have your dress fit you perfectly for your big day. We then listen to how you are going to do your hair, and makeup, and accessorize! And when your dress is fitting you perfectly, we then capture that moment with a “Chaise lounge shot”, and you get to keep those for yourself to remember your fun time! Thank you again for all that voted for us! Check the link, and like us on Facebook! We will continue to strive for your happiness! We just LOVE dresses and brides! !